Rose Adams is an art historian and Lecturer of Art History at California State University, Fullerton. Rose was born in Mexico and grew up in Mexico City, moving to the U.S. at age 14. She teaches a wide range of art history and history of architecture classes. She is passionate about diversity, social justice and education. Rose is the founder and director of #CSUFMexArt, a study abroad program in which college students travel to Mexico, to study art, history, culture, education and politics. She believes that some of life’s most important learning takes place outside of the classroom and effectively combines academics with service learning opportunities and cultural exchange for students in Mexico. 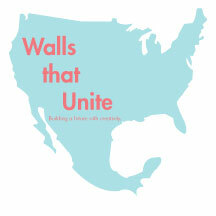 Rose is the founder of Walls that Unite, a non-profit public benefit corporation that supports education and development initiatives in low-income communities in the United States and abroad. She received her Bachelor’s degree from California State University, Fullerton and her Master’s degree from University of California, Riverside. Rose and her husband live in Orange County and are parents of four vivacious girls.